For the Colonial Health Service, research is imperative. This obligation is the consequence of the discovery of new worlds, of unknown diseases, of the materia medica used by native healers, of novel foodstuffs. The preliminary studies can only be undertaken on the spot by colonial military physicians and chemists, in particular in the overseas Pasteur Institutes. In France, the research activity of the Colonial Health Service is carried out privately, either by chemists completing a Higher Doctoral thesis (Autret*, Créach*, Thébaud*) or by physicians like Raynal* who, taking advantage of an appointment in the military camps at Fréjus, establishes a chart concerning bilharziosis in Madagascar by examining Malagasy soldiers. The absence overseas of scientific documentation and specialized laboratories makes it impossible to complete most programmes of research there. Being those who are most affected by this isolation, the chemists are the first to demand the creation of a "Centre for documentation and studies for colonial military chemists" (Cousin*, Ferré*, Bonnet*). Their request is granted in 1936. The aim of this centre is twofold : on the one hand, to gather scientific documentation from diverse scientific journals, in order to provide colonial chemists with elements indispensable for the work they intend to undertake and, on the other hand, to complete the study of plants used in native materia medica, collected by the scientific missions, and to analyse colonial natural products which are of economic interest or likely to become so. 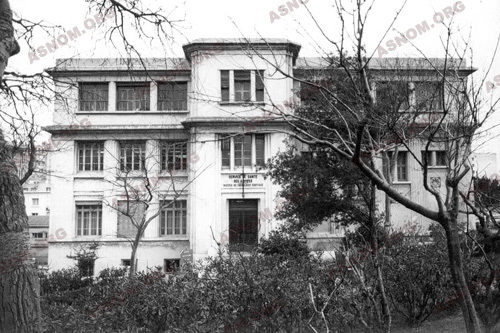 This aim is widened in 1938 to include the more extensive domain of tropical medicine and the establishment is given the title "Centre for Research and Documentation". The essential instrument is a biology laboratory where bacteriologists and chemists can work together and "examine all matters concerning hygiene and the health of colonial troops that could be submitted to it by the War Ministry. It is provided with means of scientific research and control". The war follows and the activities of the establishment are suspended until 1947, when it is "reactivated" under the title of "Centre of Research and Documentation of Tropical Medicine" with the task of gathering all relevant documents, of coordinating research in the domain of tropical medicine and diffusing the information obtained. In actual fact, the first laboratory, that of chemistry, devoted to the study of nutritional and medicinal plants, is only completed in 1953. Raynal* who, at that time, has been Vice-Director since 1951, separates the centre of documentation from the centre of research. In the latter, he creates two sections - one focussed on parasitology, which is soon replaced by microbiology, the other focused on materia medica and biochemistry. This laboratory does a thorough study of normal and pathological variations in the serum of Africans; then, from 1955, at the request of international organisations, the analysis of nutritional plant resources is undertaken in collaboration with the ORANA. The plants are gathered in Africa, sent to Marseilles, identified and analysed with the most modern techniques of measuring the amino-acid contents of their proteins. Busson* establishes new charts of the composition of foodstuffs and publishes a work of reference: "Nutritional Plants of West Africa" ("Les plantes alimentaires de l'Ouest africain"). The Pharo centre organises, under the aegis of the CNRS, the first international course devoted to these techniques. It is repeated during five consecutive years. At the same time, Autret* organises, in 1952 and 1955, two courses for the training of nutritionists which assemble 65 participants (physicians, chemists, veterinarians, agronomists) of diverse nationalities (French, Belgian, Italian, Portuguese, Haitian). In bacteriology, Lapeyssonnie*, entrusted by the WHO with the task of studying an epidemic of cerebrospinal meningitis in Niger in 1961, begins an investigation of neisseria meningitidis, a terrible microbe that causes decimation in Africa. 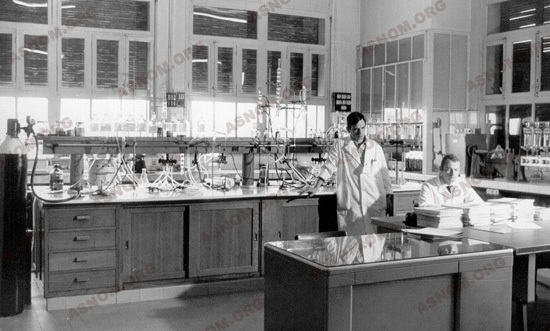 On the 1st January 1964, his laboratory becomes the "international WHO centre of reference for neisseria meningitidis", directed by R. Faucon*, an unique place of research in France, at present entitled "WHO collaboration centre of reference for neisseria meningitidis". 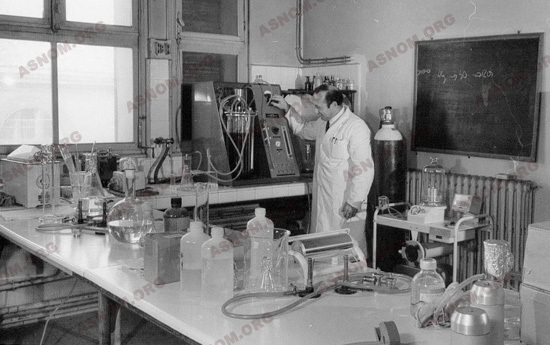 This work is prolonged by the creation in 1965 by Nicoli* of an immunochemistry laboratory devoted to the study of the constituents of the bacterial cell wall of neisseria meningitidis that can be used in vaccination. In the same laboratory, work is undertaken on the phenomenon of tropical virosis. The flight across the neighbouring Camargue of numerous migrating birds from Africa lead Beytout* and Chippaux* to study, from 1960 onwards, their role in the eventual transmission of pathogenic viruses. The creation of a molecular biology service by Nicoli* strengthens this research activity whose sole purpose is viral biosynthesis. In 1968, the Pharo becomes "The Institute of Tropical Medicine of the Army Health Service" and the centre of research is named "The Centre for Study and Research on Tropical medicine". Still being undertaken, these works have as their objective the health protection of overseas populations. Especially, since 1980, a laboratory of immunoparasitology is devoted solely to the study of the agent of serious malaria, Plasmodium falciparum : the identification of strains that resist anti-malarial drugs, the isolation of core antigens in order to obtain a vaccine against malaria.